Derek asks: Why were the two groups in WWII called the Axis and the Allies? 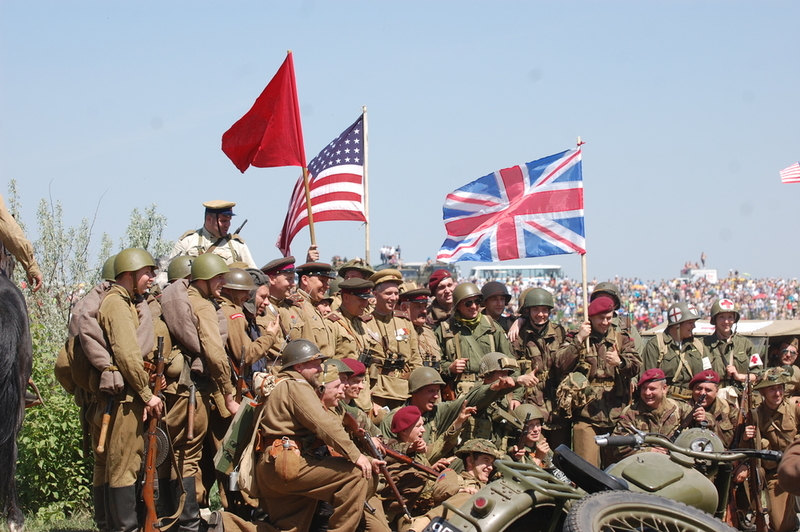 Marking the two main groups of belligerents in the Second World War (1939-1945), the Axis and the Allies slugged out their differences from the beaches of Normandy to the islands of the South Pacific. The history of their epic battles, atrocities, heroes and villains is well known, but one bit of trivia you may not be familiar with is where the two alliances got their names. This Berlin-Rome vertical line is not an obstacle but rather an axis around which can revolve all those European states with a will to collaboration and peace. Il Duce was not the first leader to describe this “axis” of power – it had actually been proposed by Hungarian Prime Minister Gyula Gombos who had hoped to create this between his nation, Italy and Germany in the 1930s. Gombos died just weeks before the Rome-Berlin pact was made. Extending its sphere of influence and network of friends, Germany next entered into an anti-communist agreement with Japan on November 25, 1936, called the Anti-Comitern Pact. Not to be left out, Italy joined that pact as well, one year later on November 6, 1937. By 1939, after both Italy and Germany had invaded other European nations, the two countries signed the Pact of Steel. Executed on May 22, the agreement bound each country to support the other in the event of war. Germany invaded Poland on September 1, 1939, and on September 3, Britain and France declared war in retaliation. The Soviet Union entered the conflict on September 17, 1939, and Italy in June 1940. On September 27, 1940, Italy, Germany and Japan signed the Tripartite Pact. Although many commentators claim that the “Axis powers formally took the name [Axis] after” this pact was signed, I am unable to confirm this in my research. Nonetheless, people within the Axis countries, and their governments, apparently referred to themselves as the Axis by this time, whether official or not. In addition to Mussolini’s explicit claim, it was certainly used in Germany. In fact, the name given to a 1943 operation to disarm the Italian military if it signed a cease-fire with the Allies was Fall Achse, which means Case (Operation) Axis. In any event, the term was certainly popular with Allied countries, particularly the United States, where it had the connotation of a single, monolithic, evil entity. For example, in his address on December 9, 1941, President Franklin D. Roosevelt described the attack on Pearl Harbor as the “actual collaboration . . . [by the] Axis strategists [executing a] joint plan.” This language was mirrored in the press and across the country. It is our intention to work together, and with other free peoples, both in war and peace, to this end. By the time the U.S. declared war on Japan (December 8, 1941) and Germany and Italy (December 11, 1941), the alliance of Great Britain, et. al was universally referred to as the Allies. The United States supported the Allied coalition prior to its participation in World War II. On August 14, 1941, FDR and the Prime Minister of Great Britain, Winston Churchill, issued a non-binding, informal declaration, today known as the Atlantic Charter, which called for “the establishment of a wider and permanent system of general security,” to protect “peace loving peoples” from outside aggression. Today’s United Nations officially began when its Charter was ratified by China, France, the Soviet Union, the United Kingdom and the United States on October 24, 1945. Dubya, meet Il Duce: Who said ‘axis’ first? Churchill used “The Grand Alliance” all through his history of WWII.